In order to help you more quickly, please fill out the quick form and submit or call (843)-722-0311. A representative of the firm will call you. The attorneys in South Carolina of Grimball & Cabaniss, LLC have a depth of experience that enables us to expertly handle your personal and business legal matters. To answer any common questions, please visit our South Carolina law firm FAQ page. When you need an experienced South Carolina attorney, contact Grimball & Cabaniss, LLC for quality legal representation. 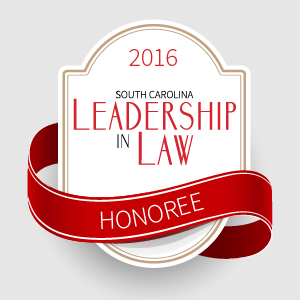 Joe Cabaniss is a former president of the Charleston Bar Association and a highly respected trial attorney. 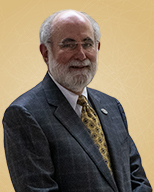 He was given the University of South Carolina School of Law's highest honor, the Compleat Lawyer Platinum Award, and is a member of the prestigious American College of Trial Lawyers. 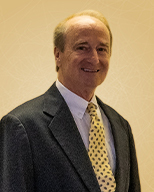 South Carolina attorney Max Mahaffee is a seasoned litigator with over 30 years of experience and is also a certified arbitrator. Max has tried hundreds of cases to verdict in state and federal courts, including professional liability, products liability, and vehicular accident cases. He has a special focus on construction law. Selected as 2013 South Carolina Super Lawyer in the practice area of "Civil Litigation Defense." Madren v. Bradford, 661 S.E. 2d 390, 378 S.C. 187 (Ct. App. 2008). Schnellemann v. Roettger, 368 S.C. 17, 627 S.E.2d 742, S.C. App. (2006), aff'd as modified by 373 S.C. 379, 645 S.E.2d 239 (2007). Miller v. Aiken, 364 S.C. 303, 613 S.E.2d 364 (2005). Maxwell v. Genez, 350 S.C. 563, 567 S.E.2d 496, (Ct. App. 2002), rev'd by 356 S.C. 617, 591 S.E.2d 26 (2003). Reynolds v. Ryland Group, Inc., 340 S.C. 331, 531 S.E.2d 917 (2000). First General Services of Charleston, Inc. v. Miller, 314 S.C. 439, 445 S.E.2d 446 (1994). Buxton v. Thompson Dental Co., 307 S.C. 523, 415 S.E.2d 844 (Ct. App. 1992), overruled by Boone v. Goodwin, 314 S.C. 374, 444 S.E.2d 524 (1994). Inman v. Lares, 298 S.C. 475, 381 S.E.2d 507, (Ct. App. 1989). N.C. Private Protective Services Bd. v. Gray, Inc., 87 N.C. App. 143, 360 S.E.2d 135 (N.C. App. 1987), overruled by Matter of Appeal from the Civil Penalty Assessed for Violation of the Sedimentation Pollution Control Act, 92 N.C. App. 1, 373 S.E.2d 572 (N.C. App., 1988). 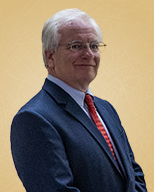 E. Warren Moise brings to his practice over 25 years of experience as an attorney in South Carolina, focusing on consumer law, class action lawsuits, and vehicular accident cases. 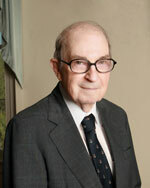 He also handles products liability cases for both plaintiffs and defendants. He is a frequent author and lecturer on legal topics, generally in the areas of evidence and trial advocacy, and serves as an adjunct professor at the University of South Carolina School of Law and the Charleston School of Law in evidence and trial advocacy. Instructor: Legal Writing, University of South Carolina Law School, 1987-1988. "Legacy of the Law Hippies: The Federal Rules of Evidence," South Carolina Trial Lawyer Bulletin, 2000. So You’re Going to Try Your First Case,” SC Bar Publisher (4th ed. 2016). Certified Mediator and Arbitrator; Special Municipal Judge, 1995. Michael J. Ferri is a certified mediator and arbitrator and is also the firm's managing attorney in South Carolina. An experienced litigator with tremendous success before South Carolina juries, Mike represents a wide range of clients in vehicular, products liability, and personal injury defense cases. He also regularly handles probate court matters, including drafting wills and trusts. 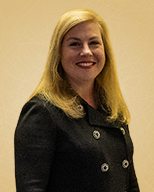 Laura Waring focuses her practice primarily in the areas of defamation (slander and libel), personal injury, consumer law, media law, and constitutional law. Before joining the firm, Ms. Waring worked as a senior staff attorney for the Richland County CASA where she focused on children's rights. While she maintains a special interest in child welfare cases, Laura now concentrates on First Amendment rights and general litigation matters. Charleston Mercury "The First Amendment is not dead it's"
Website creates no attorney-client relationship: Use of this website for information or to contact Grimball and Cabaniss, LLC does not create an attorney-client relationship between you and Grimball and Cabaniss, LLC. This law firm must investigate your case, evaluate it, do a check for conflicts-of-interest, and sign a written retainer agreement with you before you have become a client. Attorney responsible for content: Pursuant to South Carolina Rule of Professional Conduct 7.2(d), the attorney responsible for this website’s content is Warren Moise, Northbridge Executive Center 1180 Sam Rittenberg Blvd; Suite 120, Charleston, SC 29407. Legal Advice: Although this website contains information about legal issues and developments in the law, such information is not intended to be taken as legal advice. You must contact a lawyer for advice on your specific legal problems. Past Results Not Guaranteed: Nothing on this website is intended to convey to you the idea that the results in past legal matters are guaranteed for future legal matters we may handle for you. Each case is different and must be evaluated individually. Links to Other Websites: Although links to other websites are provided, the links are for informational purposes, and we assume no responsibility for the accuracy of the contents of these websites.